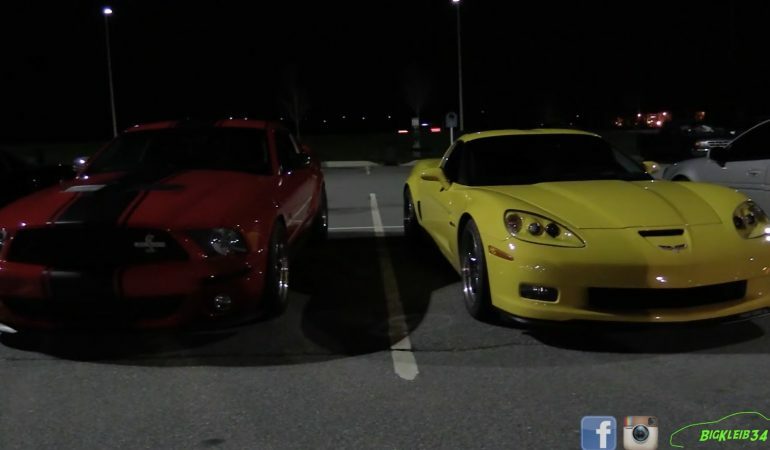 In this video, you’ll witness a close battle between a C6 Z06 Corvette and a 2007 Ford Shelby Mustang GT500 also known as the Red Rocket. The C6 Z06 Corvette is said to generate 590whp while Red Rocket is powered by 3.4L Whipple Surpercharged and generates 750 whp. 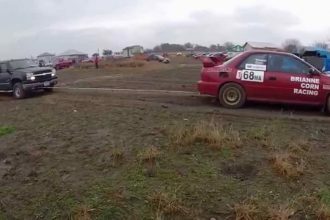 Although the figures make this race battle somehow predictable, it is still nice to see them both in a very tight battle. The Red Rocket over runs the Corvette in both 40 and 60 roll street race but the Corvette surprisingly surpassed the Supercharged Shelby in the 20 roll race. Check both awesome muscle cars in action below!